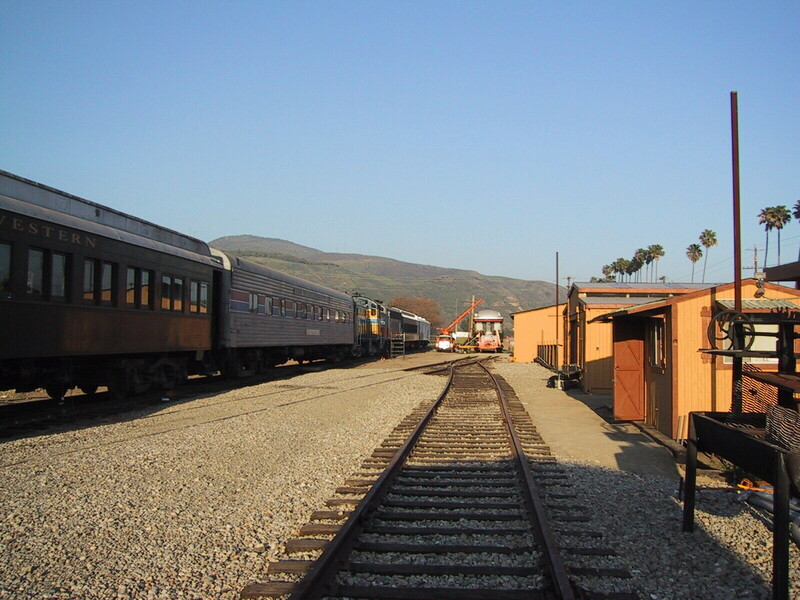 The Fillmore and Western Railway, an hour north of Los Angeles, once connected Ventura and Castaic, serving the citrus groves and packing houses of the Santa Clara Valley, as well as tourists at the turn of the century seeking the romantic "Mission Era" California landscape much touted a hundred years ago. 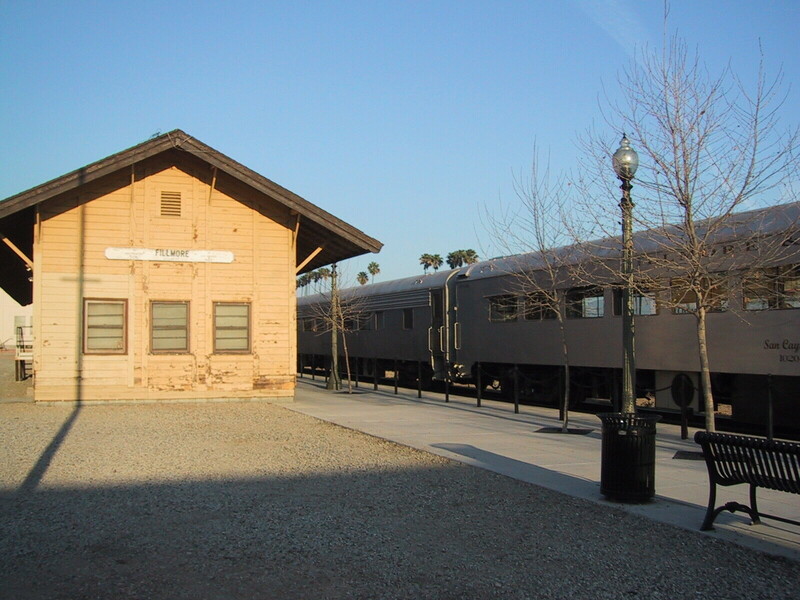 (One stop on the line was Ramona, where tourists could visit the home of the fictional character that was part of this promotional mythos.) 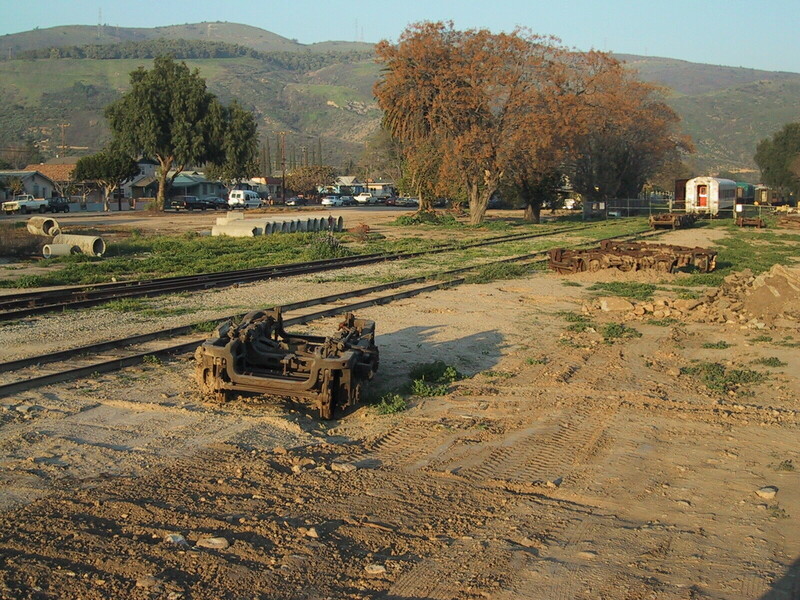 The railway has hardly been used for commercial transportation since the 1950's, and much of the track was removed and sold for scrap in the 1970's. 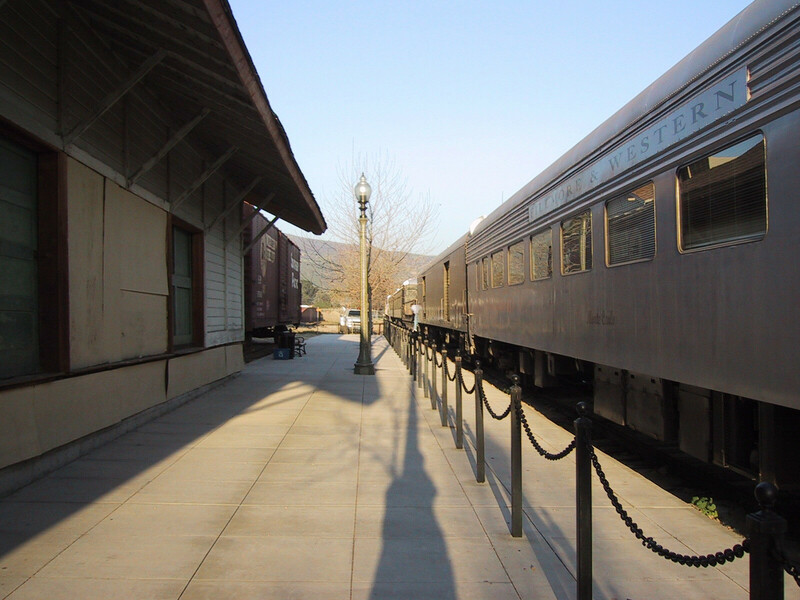 In 1996, in conjunction with a county plan to develop the valley as a Heritage Corridor, the town of Fillmore and the private owner of the trains began operating a tourist train on the old tracks. Much of the revenue however comes from film location rental and permit fees, as the Fillmore and Western is called "the most filmed railway in the country." 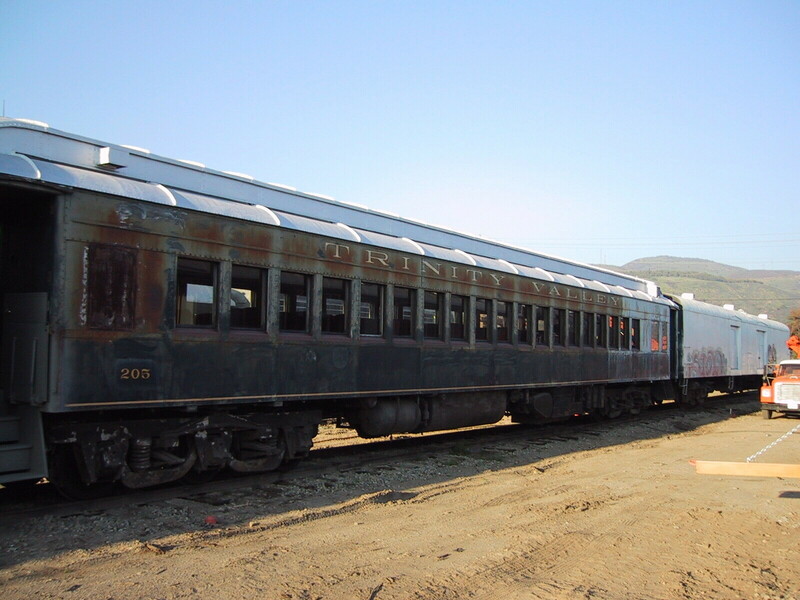 The private collection of 60 train cars and engines in the yards around Fillmore range from old steam locomotives to modern diesel engines, and are painted for films with appropriate colors, stripes, and insignia to represent the railways of other regions and times. 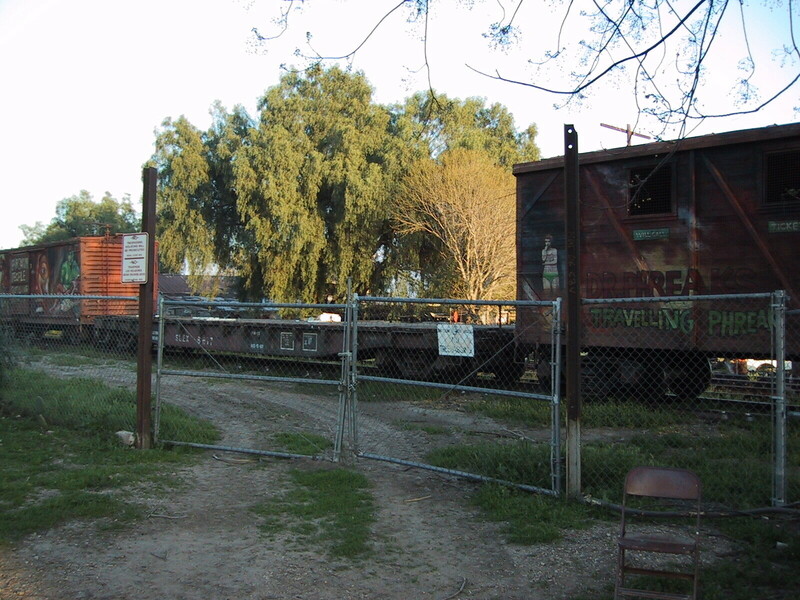 There are a number of empty, small-town depots and platforms along this set of tracks between Santa Paula and Piru, including one which was built as a film set. The others have undergone various degrees of historical and art department alterations.